Happy clappy uplifting instrumental uke songs with a catchy inspiring chord progression and various melody instruments. Suitable for acoustic corporate, commercials or carefree cinematic purpose. There are various edits/versions to each tune in my portolio. Buying this collection saves you 75% compared to purchasing each song separately. 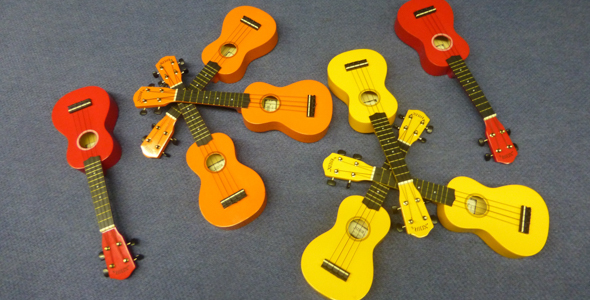 Uplifting uke happy-clappy song with a catchy inspiring whistling melody. Starts out with an upbeat bouncy uke rythm. With clapping, glockenspiel, piano, drums and bass. Finishing with boogying electric guitar. Usable for childrens cinematic purpose,commercials or corporate acoustic use. Good mood is guaranteed. Joyous inspiring upbeat happy-clappy uke song with a catchy whistling melody. With clapping, a bouncy carribean vibraphone backing and bass .Usable for childrens cinematic purpose,commercials or corporate acoustic use. Creates good mood. Uplifting impelling tune with ukulele strumming, marimba and glockenspiel melody, bass, drums, shaker and uke solo. Creates a carefree temper. Good for startup, corporate purpose or commercials. Bouncy uke strumming with an upward swaying chord progession with swinging ukulele solos make this tune a real good feel song. Suitable wherever positive good mood is asked. Bouncy happy clappy uke tune with ukulele strumming, hand clap, uke solo, bass and drums. Creating good mood. Good for corporate or commercial purpose. Country instrumental of the „Train Song“ genre. Starts out with shuffling ukulele strumming and fiddle. Yearning harmonica dobro and pedal steel guitar make you want to ride the train. Buy Now for $122 Have a Discount Coupon?